From across the Channel, the Atlantic, the other side of the globe, they are arriving, headed for the Normandy beaches where, 70 years ago, war exacted the ultimate price from their comrades. 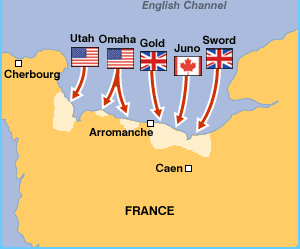 Now a dwindling band of brothers, D-day veterans from Britain, America, Canada, Australia, and New Zealand, in their late 80s and 90s, will join 17 heads of state for an official commemoration of the [largest] seaborne invasion in military history. While celebratory fireworks illuminate Utah, Omaha, Gold, Juno and Sword beaches, this week’s 70th anniversary of the second world war events allow also for solemn reflection. Up to 600 British veterans and 350 from the US are expected to join commemorations, some of which will be be attended by world leaders including US president Barack Obama, German chancellor Angela Merkel, Russian president Vladimir Putin, and British head of state the Queen. Friday’s international ceremony is at Sword, the most eastern of the five beaches, and assaulted by the 3rd British Infantry Division with some 29,000 men landing there. Its location serves as a fitting tribute not just to the 156,000 men who made up the Allied invasion force, but also the 177 Free France commandos who took part in ground operations on D-day alongside the British. The sacrifices made by the French, up to 20,000 civilians killed mainly as a result of allied bombing, are to be recognised with a national memorial service at the Caen memorial on Friday morning. 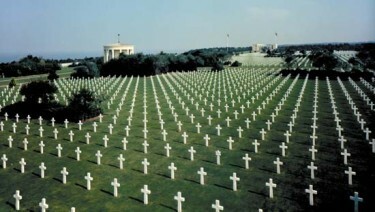 The Normandy American Cemetery and Memorial honouring U.S. soldiers who died on European soil in World War II, Colleville-sur-Mer, France. Along the 50-mile Normandy coastline, hundreds of other events will take place over June 5th and 6th. There are parades, concerts, military vehicle parades and vigils, including one overnight reading of the names of 45,000 Canadian soldiers killed during the war. Parachute drops include a commemorative descent by 300 UK and US soldiers at Ranville, the historic drop zone and the first French village to be liberated. In Britain the National Memorial Arboretum in Staffordshire, the UK’s center for remembrance will be holding a day of commemoration including a service of remembrance in its chapel and a wreath-laying at the Normandy Veteran’s Memorial. EDINBURGH More than 8,000 people from all parts of Scotland will gather on August 10 to commemorate the centenary of the outbreak of World War I with a drumhead service at Edinburgh Castle, organizers said on Thursday. Members of the public from every local authority area in Scotland will be invited to form the congregation along with representatives of the military, veterans groups, charities and civic leaders for the multi-faith service on the castle esplanade to replicate those held on the front line 100 years ago where neatly piled drums were used in place of an altar, Scottish Cabinet Secretary for Culture and External Affairs Fiona Hyslop announced at a press briefing inside the Edinburgh Castle. Following the service, military bands will parade down the Royal Mile and the congregation will be invited to follow in a procession to Holyrood Park, where they will find a replica Commonwealth war graves cemetery and there will be more than 100 headstones to represent the names recorded in the Rolls of Honor at the Scottish National War Memorial. The Scottish commemorations program will remember eight events from World War I that had a significant impact on Scotland, including the start and end of the war, as well as major battles and domestic incidents, Hyslop noted. “The First World War claimed the lives of more than 100,000 Scots and left many more injured or disabled, forcing families and communities across the country to come to terms with the devastating consequences.” she said. Throughout the centenary period, people of all ages across Scotland will be encouraged to recognize the significant and broad impact World War I had on Scotland and its people, and to reflect thoughtfully on its lasting social and civic legacy, Hyslop added. World War I was a global war centered in Europe that began on July 28, 1914 and lasted until November 11, 1918. Every household in Britain will be asked to turn out the lights at 11pm on August 4 to mark the centenary of the First World War, under plans announced [in March] by Britain’s Culture Secretary Maria Miller. Germany declared war on France and invaded Belgium on August 3 1914. That evening, Sir Edward Grey gazed across St James’s Park from his window at the Foreign Office as the lamps were being lit on the Mall. He turned to a friend, John Spender, and made his now famous remark. b) List the events noted in this article which are taking place to commemorate the 70th anniversary of the D-Day invasion in France this week. c) CHALLENGE: Read the “Background” and visit the links under “Resources.” List at least 2 significant facts you learned about the D-Day invasion from these resources. b) How did the Scottish government choose the eight events from WWI that will be commemorate on the 100th anniversary of the war? c) What do organizers of the commemoration events hope people will get out of the events? 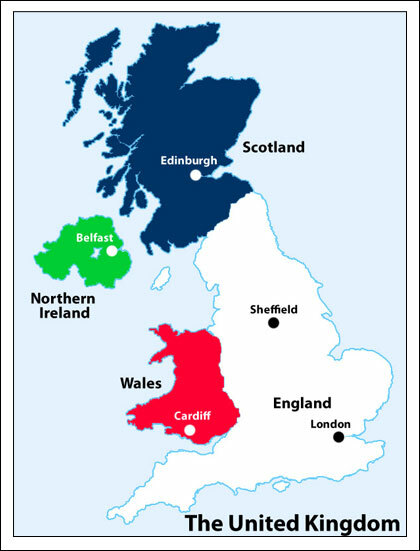 b) What is the purpose of Britain’s 14-18 Now “Lights Out” event? c) What three events will be marked during the next four years’ WWI commemorations? Many of the British veterans will visit Bayeux, known as the British shrine, for a Royal British Legion service at midday on Friday at the cathedral followed by an service of remembrance at the war graves cemetery where 4,144 second world war soldiers from the [British] Commonwealth are buried. The Bayeux Memorial bears the names of 1,800 men from Commonwealth land forces who died during intense fighting during the advance into Normandy and have no known grave. The Prince of Wales will watch a short parade of veterans, joined by Australian prime minister Tony Abbott, who will be accompanied by seven Australian D-day veterans. 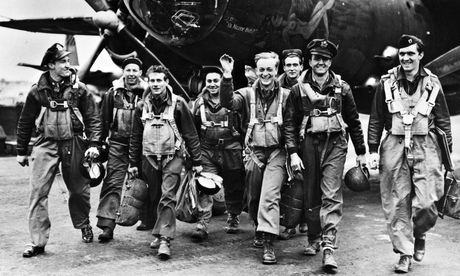 Some 3,000 Australians fought in support of the D-day landings, with 18 killed. Shortly before sunset, the Normandy Veterans Association (NVA) will perform its final parade at Arromanches on Gold beach, where, on June 6, 1944, nearly 25,000 men from the British 50th division landed. Always emotional, the ceremony has added poignancy given the NVA is to disband in November, its numbers having dwindled from some 15,000 thirty years ago less than 1,000 today. For some, as they march past the Duke and Duchess of Cambridge, representing the Queen, it will be a last farewell to Gold. Elsewhere, Canadian prime minister Stephen Harper will pay tribute to the 21,000 Canadian troops who secured a heavily-defended Juno beach at a service nearby, accompanied by five veterans invited as his guests. 31 May 2016: Battle of Jutland. The only time that British and German dreadnought battleships came to blows. Both sides claimed victory – the Germans lost fewer ships and men but the British claimed victory as Germany never again seriously challenged British control of the North Sea during WWI. 1 January 1919: Loss of HMY Iolaire. The Iolaire was carrying many naval personnel returning home to Lewis from the Kyle of Lochalsh when she struck rocks half a mile from Stornoway with the loss of 204 of the 285 men aboard. Why remember? 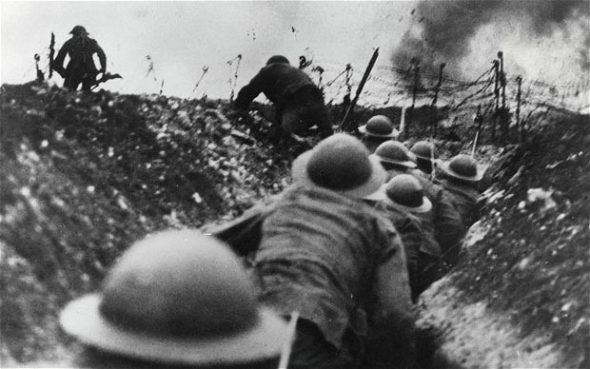 In August 2014 the world will mark the hundredth anniversary of the outbreak of the First World War. Why should we remember? Why should we stop and think about those events that happened so long ago? The First World War was a turning point in world history. It claimed the lives of over 16 million people across the globe and had a huge impact on those who experienced it. It was the first real instance of total war. Whole nations were pitted against each other; millions of men fought on land, at sea and in the air; modern weaponry caused mass casualties and civilian populations suffered hardships and came under threat of enemy attack. The war and its consequences shaped much of the twentieth century, and the impact of it can still be felt today.